We live in a world where the ability to do business digitally is a given. Now more than ever, people want to do business with organizations via the ease, speed, convenience and security of a fully digital experience. Yet many businesses are failing to keep pace in their front office with customer expectations, as well as with competitors that have made digital transformation a priority. 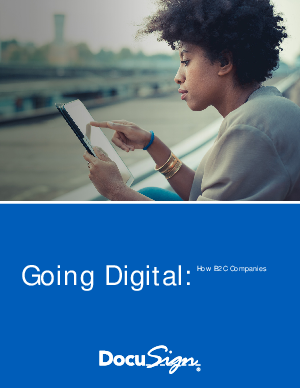 Download this eBook to learn how B2B companies can evolve to meet customer expectations by adopting a fully digital experience with eSignatures.